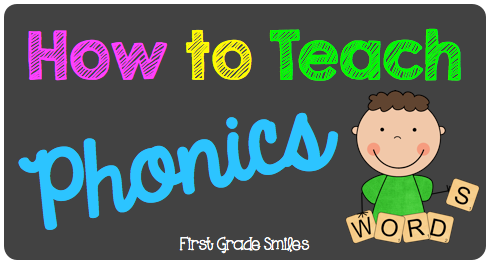 So, I am writing this post, not to TELL you how to teach phonics, but to EXPLORE how to teach phonics. 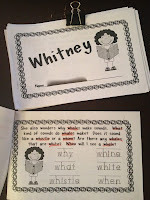 If I did have all the answers, as if there was only ONE way to teach phonics, then I'd be very famous. But... sigh... I don't, and I'm not. And as far as I know, there are a variety of different approaches and theories about how children learn to read. 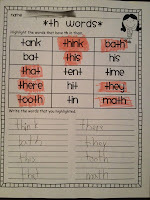 Teaching phonics isn't necessarily included in some of those theories. But for me, my own theories, and the district I teach in - we teach phonics. 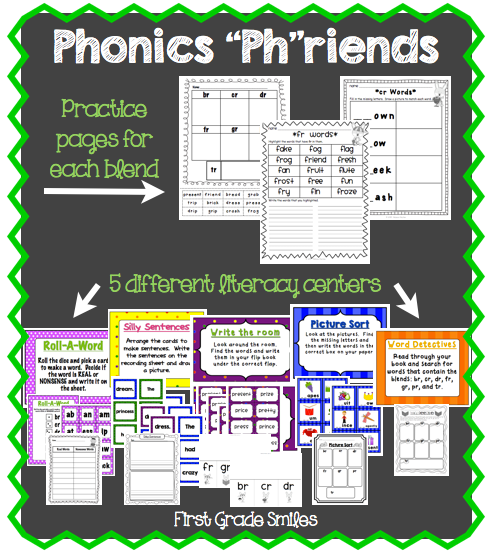 Even looking at the Common Core Standards, I think a teacher would almost have to teach phonics (and phonemic awareness) in order to reach those standards. (Again, I could be wrong because remember I don't have all the answers). So where does one start when trying to teach children how to read. Hmmm - this could take a while. 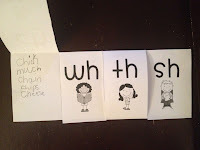 I think I'll skip ahead --- past letter recognition and past phonemic awareness where children learn about the sounds our letters make, or the phonemes. Hold on - I already went too far. 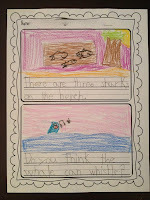 I think I need to briefly talk about phonemic awareness. Obviously, children need to be able to recognize their letters in order to read, but more importantly, children need to realize that letters have sounds, those sounds come together to make words, and those words make sentences. 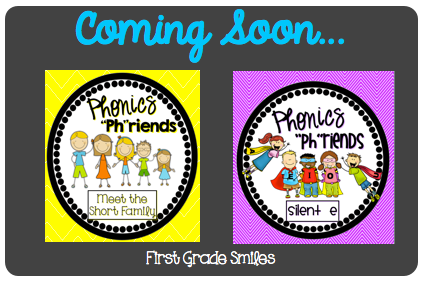 Phonemic awareness is all about children HEARING the sounds and being able to segment the sounds. You can practice this with children by segmenting sounds out loud for them and with them. For example, what sounds do you hear in cat? /c/ /a/ /t/ What if I change the /c/ to /h/ - what word would that make? And so on. 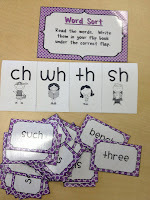 These activities can be very difficult for pre-readers, but the modeling and guided practice is oh so important. After they can hear the sounds, they need to represent the sounds and manipulate the sounds. Here is a quick video from YouTube that shows some things you can do when teaching phonemic awareness. Love the hand movements! This is where I would say the phonics instruction comes in - linking the sounds they hear to the letter or letters that make those sounds. And of course, the English language has to make things extremely difficult for us by having rules and rule breakers and ifs and only whens. It can be confusing for sure. But as the teacher, you need to provide direct teaching and then multiple opportunities for students to practice. With almost any learning, the way to get better is PRACTICE, PRACTICE, PRACTICE!!! Give students examples of words with those letters/sounds. Think of other words with those sounds and chart them. Give nonsense words as well, but identify them as such. Keep the charts up if you can. Displaying word families is one to do this. 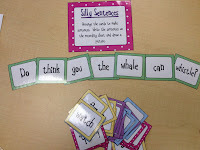 Make words using tiles, playdoh, Wiki stix, magnetic letters, stamps, etc. Elkonin Sound boxes are helpful when doing this. 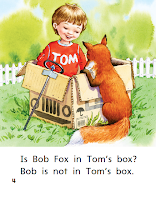 Read the words in context - using decodable readers when possible so there is multiple exposure. This is an example of a decodable reader that comes in our reading program - Treasures. 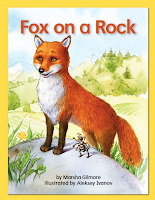 There are many others out there - Reading A-Z is a great online resource with printable books. I KNOW there are many other activities that you can do, but this is a list of what I work hard to do in my own classroom. Here's the MOST IMPORTANT THING about all of those activities . . . Remember I said how important it is to practice, practice, practice? Well, when it comes to many things, repetitive practice can get *yawn* boring. It's the teacher's job to make it interesting! Spice it up! Find something fun and go with it....and then after a while, find something new. Of course you want routines in there, but you also need to keep things interesting and keep your students on their toes. Children become machines if they are doing the same activities day in and day out. They need something shiny to make it new again - which could be as simple as using a witch's finger pointer around Halloween to point to words on a chart. Especially for younger children, little changes make a big difference. One day, as I was using yet another worksheet from our Treasures program this past year, and looked around the class at my children practically falling out of their chairs from boredom, I decided I wanted to make something that was going to make this more fun and exciting - both for my students and for me. 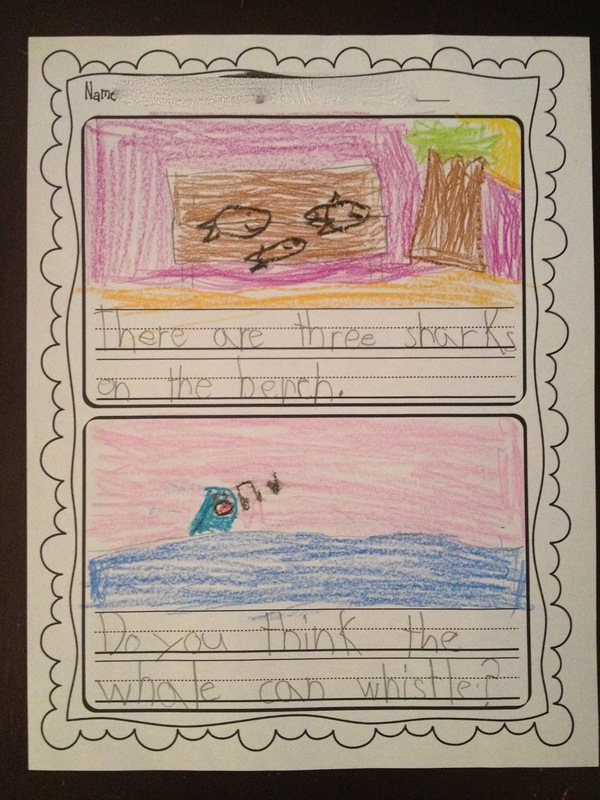 I get bored teaching with worksheets too! 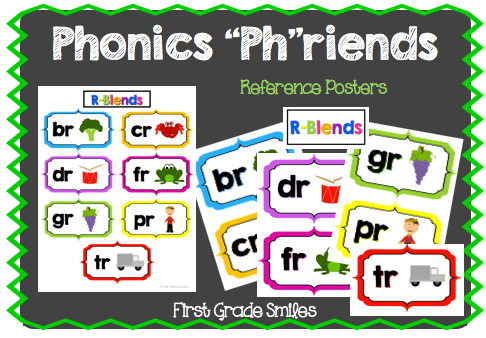 That night, as I was sitting at home, after my kids went to bed, my Phonics "Ph"riends were born. I thought, wouldn't it be so much more fun to tie each sound to a character? And have each character have its own story? We could connect to the character and not just the sounds. So here is what came from that late night brainstorming. 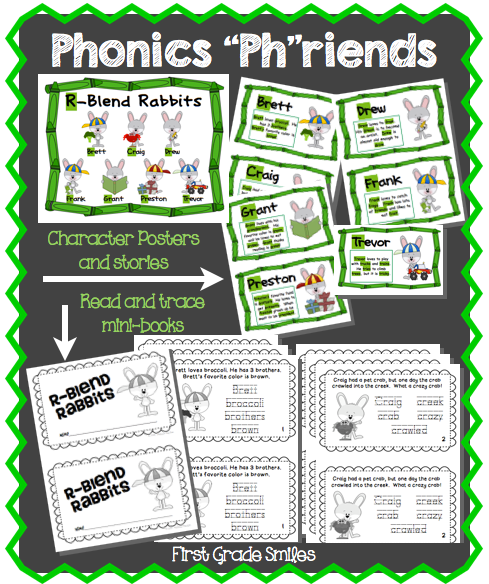 These pictures are from my R-Blend Pack, but is representative of the other Phonics "Ph"riends packs as well. I use these reference posters to display when we are doing whole group activities like making anchor charts and sorting words in pocket charts. I like to keep these up for reference. Of course you still need some practice pages, but these are way more interesting than just a worksheet. These pages have your kids cutting and pasting, highlighting, and drawing. And of course, probably the most important of all, are the literacy centers where students can work together in groups to practice their new sounds independently. 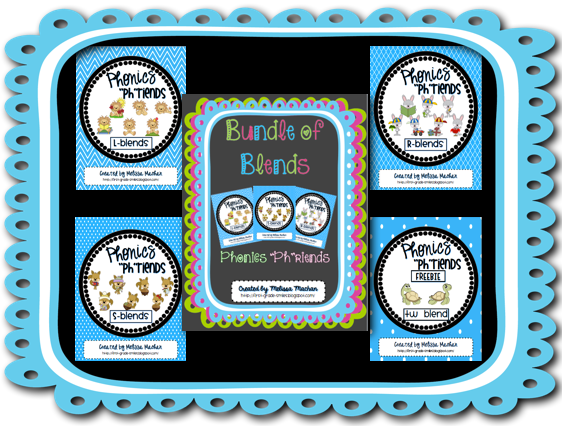 You can find my Blends packets by clicking on the picture below. 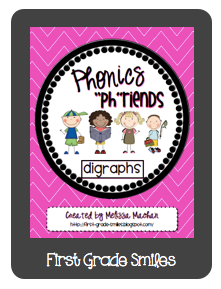 I also have a Digraphs pack in my store right now. You can click on this picture to go to my store. I added a few pictures of my students' work from last year below. I will end off with another quick video from the amazing Teacher Tipster where he explains a cute center you can make with your students' photos. Love it!!! 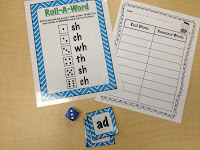 I'd love if you link up your own blog posts below to share some ideas and activities you use to teach phonics and things you do for word work in your classroom. Just grab the picture at the beginning of this post and link it back here. Can't wait to read about what you're doing in your classroom! If you don't have a blog, you can tell me about it in the comments.